Maritzburg United returned to winning ways with a 1-0 win over Kaizer Chiefs at the Harry Gwala Stadium on Wednesday night, inflicting only a second league defeat on AmaKhosi this season. 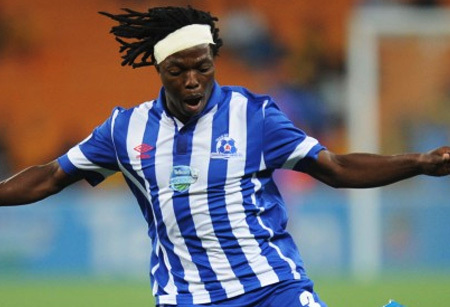 Chiefs started the game brightly, but found the Maritzburg defence in uncompromising mood. Thamsanqa Mkhize though had the first real chance of the contest, in the 17th minute, but he volleyed wide from close range after bringing down a cross. Siphelele Mthembu came close for AmaKhosi a minute later, but went just wide from the edge of the box. The visiting side had the first opportunity in the second half, but Tefu Mashamaite’s 52nd minute header from Bernard Parker’s cross was off target, Parker himself going close eight minutes later when his shot brushed the woodwork. Substitute Khumbulani Banda was to be the hero for the Team of Choice, his first touch after coming off the bench resulting in an 81st minute headed goal from a corner. Siboniso Gaxa nearly leveled the game for Chiefs in added time, but his effort hit the bar.